Are the Alta Vista Condominiums, in Los Suenos, right for you? 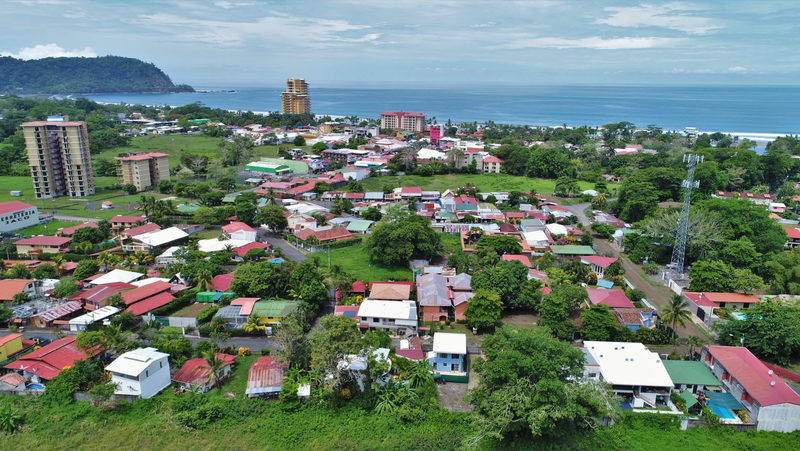 Alta Vista Condominium Residences is located in the exclusive neighborhood Vista Los Suenos which is located in the Los Suenos Resort in Herradura, Costa Rica. The Vista Los Suenos neighborhood is situated on the right side of the main boulevard as you enter Los Suenos. Due to its location it offers incredible views of the Pacific Ocean, La Iguana golf course, Marriott Hotel and the rest of the resort. The Alta vista Residences give you a real estate option to be part of the Los Suenos Resort. There are two different types of residences at Alta vista. Type one offers 1750 square feet of living space and type two offers 2100 square feet of living space. The finishes at Alta vista Residences are characteristic of the Los Suenos communities, Italian ceramic tiles, Costa Rican hardwood doors and cupboards, 10-foot ceilings, crown moldings and energy efficient air conditioning systems. The condos have an open living room floor plan with a kitchen with modern stainless steel kitchen appliances. The condo units have oversized terraces from where you can enjoy the amazing views and the breeze coming from the ocean. Alta vista’s beautiful Mediterranean architecture condo buildings are surrounded by landscape gardens and have an elevator in each building. There are covered car ports for parking with sufficient space for golf carts. Alta vista has community pools with large sunning decks for its residents. Los Suenos is a world class resort that is home to the Marriott Hotel, 18-hole golf course La Iguana, Marina and Marina village. From your residence at Alta vista you have views all over the resort and you are close to all the amenities. At the Marina village you find stores, spa, bank, coffee shop and several restaurants which offer different fine dining options with a view over the marina. Alta vista Residences at Los Suenos is a great place for a vacation home or a permanent residency option in Costa Rica.